Creative Curriculum is designed to meet the basic needs of all children. With this curriculum teachers create an atmosphere in which children feel safe, emotionally secure, and have a sense of belonging. Activities and teaching strategies are challenging, yet within the child's reach. Children also are given choices and a role in determining how they learn. Creative Curriculum helps teachers be intentional about the experiences that they offer while still having the flexibility to respond to the changing interests and abilities of the child. 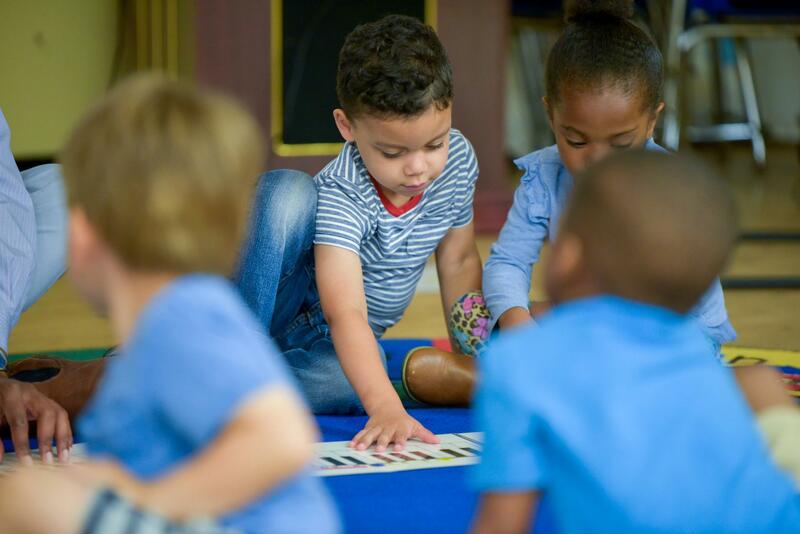 This is a neuroscience-based program that helps children build cognitive, attention and fine motor skills needed to succeed academically and in life. Music and the Brain lessons teach students to read and analyze the language of music through diverse repertoire which allows for cross-curricular instruction. The curriculum and program introduces students to folk, classical, world, rock, pop, and jazz music.